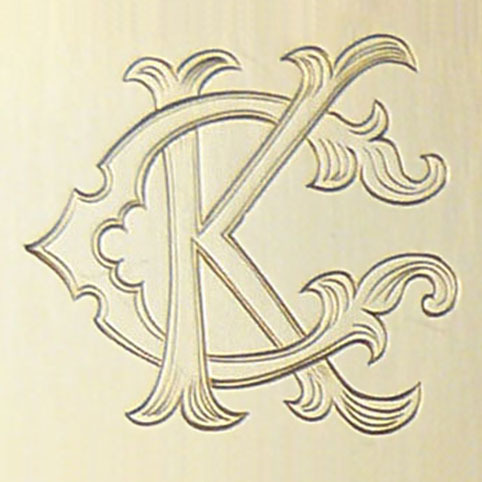 The letters "K" and "C" in a Fancy Style. This is the webmaster's favorite - reminiscent of calligraphy. I'm probably biased, but I love the KC. I show it off all the time! Would like to see this done with a double D.